It's time for another Moms of Master Books review. This time, it is for a new title in a series we know and love. The Wonders of Creation series is fantastic, for multiple ages, and we own every title in the series. 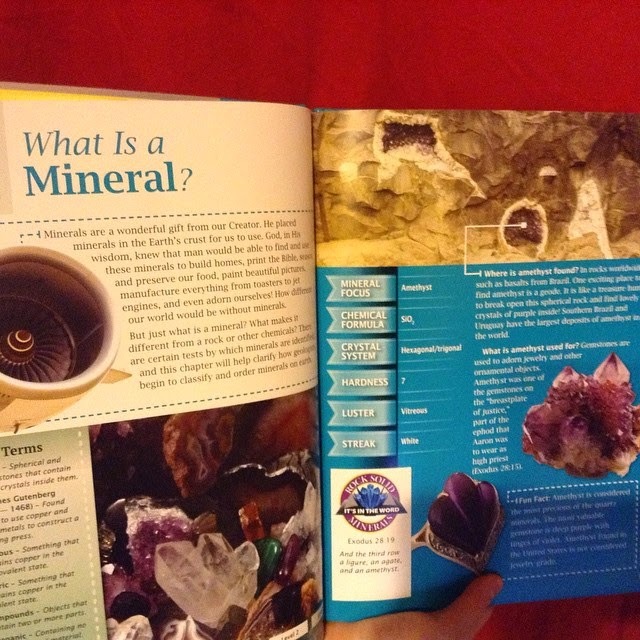 This review is about the newest one, The Mineral Book. The newer books have a feature I really, really love. There are different colored backgrounds for different "age levels" of material. Theoretically, that means I can go through the book with all of my kids, but have the younger ones drop out as I add more complex information. Or, I can go through the book multiple times with the same child, just adding a new colored background as they get older. Both of those options are cool. Level One has a dashed blue border, and is "basic" information and visuals. This is great for elementary ages, I think. Level Two is on an off-white background, and gets into more vocabulary and deeper information about identification of minerals, and collection of them. This is great for middle school ages. Level Three is on a green background, and has more advanced concepts/theories, and is meant to inspire students to dig deeper into other sources too. This is great for high school ages. The 5th grader is good with the Level One and Level Two material. The teens (8th grade and up) are all ready for the Level Three information too. I am hoping -- even though it will mean spending more money -- that more of the Wonders of Creation books are going to be coming out -- and that more are going to be updated to this format, as I really love it. The Weather Book is being updated, and that definitely excites me. Watch for a review of that one in June! 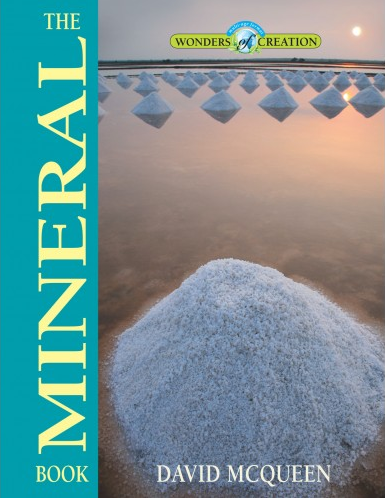 Go see what other Moms of Master Books have to say about The Mineral Book.